Soumbeïla Diakité is a Malian football player who, is playing for Stade Malien. 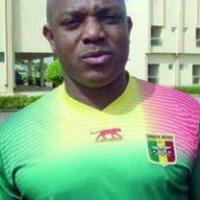 He was part of the Mali U-20 team who finish third in group stage of 2003 FIFA World Youth Championship. Diakité was part of the Malian 2004 Olympic football team, who exited in the quarter finals, finishing top of group A, but losing to Italy in the next round.